Baroque fashion is set to be a huge trend this A/W, so it’s time to vamp up your wardrobe with plenty of opulence, embroidery and fistfuls of over the top gold bling! When it comes to baroque fashion, more is more, this is a look which screams lavishness and opulence, so it can't be done half-heartedly! 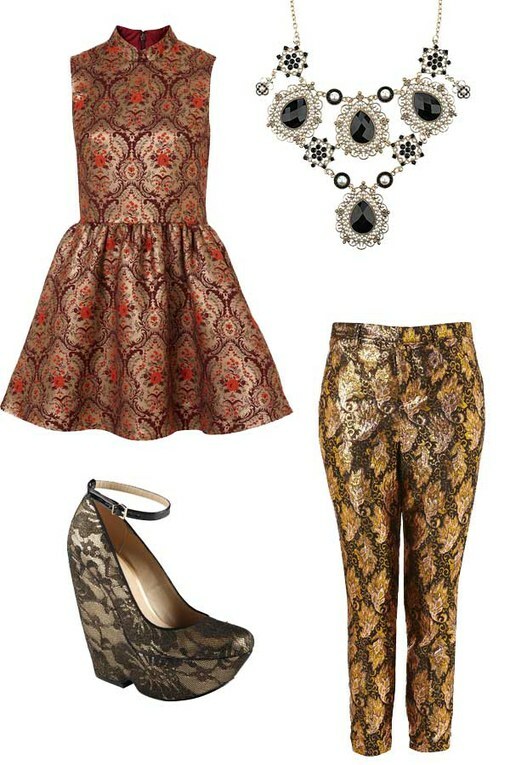 Think gold statement necklace, stately home wallpaper prints and rich velvet textures, all in sumptuous shades and plenty of gold details. Sorry minimalists, this one might not be for you! So if you fancy rocking the baroque trend, look no further, we’ve rounded up our top 50 baroque fashion finds from around the high street.